FanDuel is now in full operation in the United Kingdom, as the powerhouse daily fantasy sports company has been open for business since early August of this year. The launch of legal DFS contests in the United Kingdom under the well known FanDuel name was aimed toward the start of the Barclay’s Premier League which also began in August. The launch also unveils FanDuel’s new partner, Opta, which is a live performance stats company that is set to optimize the new UK product. Fans in the millions have been waiting for an alternative game similar to the one seen in the United States with American Football. Although FanDuel is a household name, it still is subject to an honest review. Don’t forget to check out our promo codes and bonuses within the review! The beginning of business in the UK for FanDuel could very much be in response to DraftKings’ recent February launch in the UK. The two DFS sites have been in heavy competition within the United States. However, both companies have been under fire in the courtroom, as a handful of states have opted to illegalize the skill game. 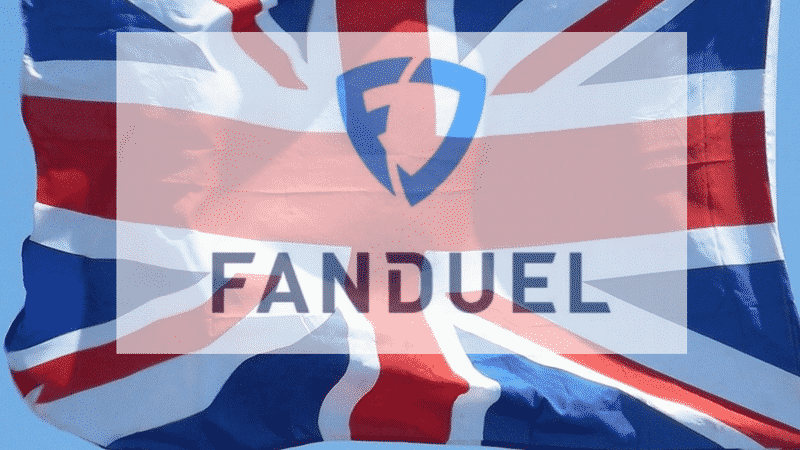 It is certain FanDuel is remaining transparent to the United Kingdom’s Gaming Commision in order to maintain a legal license for competitions. At the moment, fans are only allowed to play in Premier League football. Though the country’s limitations are set to a single sport, a large concentration of fans in the UK have given their hearts to one sport and one sport only, football. Currently, the UK version of the app has over 4 million regular players. FanDuel is just starting in the United Kingdom, and has some competition among DraftKings and other sports betting options. Daily Fantasy Sports in the UK, like in Las Vegas, fully competes against legal sports betting that has strong roots and trust amongst sports fans. However, daily fantasy competitions are different than traditional sports betting and requires learning a completely different strategy than standard sports betting. Through FanDuel’s multiple game types and contest pools, participants are able to compete in head to head matches, group games, and even tournaments. Due to many new players signing up and joining FanDuel, the site offers beginner matches and will match players within a similar experience level. There are a variety of different game lobbies to truly give a community-like-atmosphere so players can quickly get accustomed to the competitions and how to play the game. Overall, the UK version of FanDuel has better statistics, cleaner for beginning players, and easier to navigate on game days. There is no Promo Code required to get the 5 Contest for free. Simply use one of our links so sign-up for FanDuel. If you have played on a sports betting site or a United States DFS site such as FanDuel US, than the new UK platform for FanDuel will be very simple to navigate and understand. There are only a handful of tabs, all straight to the point in terms of layout. With FanDuel UK only centering around football, the site is even less complex. The platform’s original layout has remained easy to control from a user’s perspective. Players who are just starting out are able to get a hang of things quickly, and the user friendly platform allows experienced veterans to enter and manage a multitude of competitions at once without any hassle. FanDuel allows participants to play on all types of internet devices, such as PCs, Macs, tablets, and smartphones. Whether you are downloading the app on the Google Play Store or the App Store, consumers say that the two operating systems have little difference between the FanDuel apps offered for either iOS or Android smartphones. Guaranteed Prize Pool Tournaments, also known as GPPs, are larger contests with a specific amount of money attached no matter how many contestants actually sign up to play. With that being said, guaranteed prize pool tournaments are best played when entering near the closing time to get into the tournament. The contests will always clearly display the amount of potential cash that finishing tournament positions will collect. Monitor the different GPP tournaments on game day and choose the one with the least amount of contestants. After all, the guaranteed prize pool just solidifies the idea of less people splitting bigger payouts. If you are looking for a quick match up with one other player to compete against, the head to head matchups are the ticket. Many experienced players enjoy head to head because their confidently selected fantasy team only has to triumph over one opponent. Although luck and risk are still involved in the game of daily fantasy sports, head to head matchups are the least affected by risk. The odds of winning a head to head matchup compared to that of winning a large tournament are truly significant. With a chance to double your money by landing in the top 50 percent, double down tournaments are very attractive, especially to newer players. For example, if the contest entry fee is $10, with 100 contestants playing, the top 50 players at the end of the tournament will walk away with $20. However, whether you are the first or last position in the top 50 percent, it makes no difference, as everyone will win the same prize rather than more cash going up the ladder. Daily Fantasy Leagues come in all sizes from a minimum of 3 players all the way up 100 players. Although the maximum player limit for leagues are 100, the majority of leagues will be anywhere from 3-10 participants, with each player competing to finish around the top 30 percent. For example, for 3 people in a league, one winner will walk away with everything. With 10 players in a league, the top 3 will split the money respective to their position. Always check the payout ladder before entering a competition. Qualifying matches are pretty straightforward, as you are competing to win an entry into a larger tournament with much larger payouts. Qualifiers are often known as satellite games due to the contest being connected yet away from the larger tournament. FanDuel often runs satellite tournaments in order to fill up more expensive GPP tournaments. Satellite competitions will always cost a fraction of the entry fee that is set for the larger tournament you are trying to qualify for, so it does not hurt to try. Although guaranteed prize pool tournaments will attract a lot of players, there are several different tournament options that you can choose from to try your hand at DFS. Multiplier tournaments vary in the number of contestants, the payouts, and the multiplying factor (3X, 4X, 5X, etc). However, the bigger the multiplier, the more difficult the odds as well as the less amount people getting paid. Different from a GPP tournament, the payout ladder will not increase as it goes up, rather there will be a set number of winners that will all equally multiply their money respective to the multiplying factor. Another tournament option for those feeling they can beat the odds, a steps tournament will cost very little to enter, but will require you to win multiple competitions to keep moving forward. Depending on the number of competitions you will have to complete in “steps,” the payouts at the end of road are far larger than that of a normal tournament. Currently, FanDuel only allows UK players to participate in football (Soccer in the US). However, FanDuel is highly likely to allow UK fans to compete with US sports in the near future. FanDuel’s major rival, DraftKings, was recently licensed by the United Kingdom’s gaming commission to implement US sports into their UK site. For now, UK participants can compete through Premier League games. When you go to make your first deposit, make sure you are taking full advantage of our custom bonus, as most bonuses are redeemed through the first initial deposit. Depositing is simple and safe, only taking a few minutes to establish your funding. You can use credit, debit, or PayPal to deposit money onto your account. To deposit money to your account, sign up, simply click the arrow next to your account name in the top right of FanDuel, and click “Add Funds.” Since FanDuel is stationed in Edinburgh, there are no international transaction fees for UK players. Withdrawals operate under a slightly different method than deposits, but are also easy and fast to complete. To complete a withdrawal, email [email protected], requesting the amount you wish to withdrawal. At the moment, withdrawals are acceptable from £1 all the way up to a maximum limit of £50,000. Once you have sent an email to the UK support team at FanDuel, they will respond within two business days and complete the withdrawal to your last used card or Paypal account within seven business days. If you wish to have a paper check sent instead, FanDuel will happily oblige. Definitely the easiest aspect of the site, FanDuel makes signing up a breeze for new players. Go to fanduel.co.uk and click sign up, fill out some personal details and pick a user name. After a swift sign up, you are all set to fund your account and start playing! FanDuel is stronger than ever in the UK with already 4 million fans playing in competitions for the Premier League alone. Although the site is in its first season abroad, the idea of daily fantasy sports reaching Europe is a continual growing process. The phenomenon of FanDuel now satisfying the hunger of football fans in the UK will only lead to more expansion and success for the DFS site. The company has turned away from bombardments of advertising to truly rebuilding their product, solely based on the consumer rather than corporate greed. With FanDuel’s new partner, Opta, players can now follow crucial statistics needed to build a winning DFS strategy. UK fans should give FanDuel a shot if they have not already, as the company’s new product is well made and a hit that provides an amazing experience for football fans. Remember your limits and to enjoy the game. Have fun and good luck! "FanDuel, the market-leader for Fantasy Sports in the US, has hopped the pond and now is offering services in the UK, simply going by FanDuel UK!"